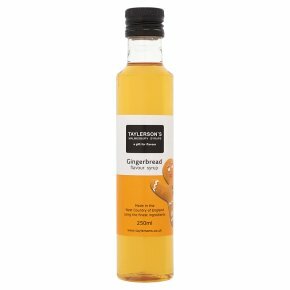 Made in the West Country of England using the finest ingredients, this delicious syrup is ideal for topping ice cream, flavouring natural yoghurt, rice pudding or cake or even mixing in your coffee! Made in the West Country of England using the finest ingredients. Suitable for vegetarians.A shot transforms a mug of hot milk or a latte. It's just as delicious as a topping on ice cream, for flavouring natural yoghurt, rice puddings and cakes.